Parley for the Oceans has mentioned Maldives has strong potential to emerge as a key global voice for climate action. 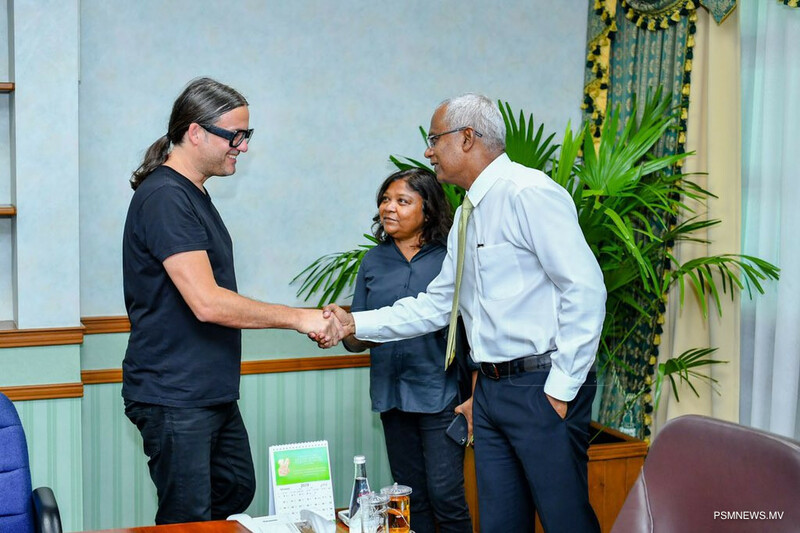 The statement was made by Chief Executive Officer and Founder of Parley for the Oceans Cyrill Gutsch during a meeting with President Ibrahim Mohamed Solih held at the President’s Office. During the meeting, Gutsch stated his firm belief Maldives has strong potential to emerge as a key global voice for climate action and take the lead in articulating the concerns of Small Island Developing States (SIDS) to the international community. In this regard, he proposed ideas for initiatives that would substantially build on the current climate adaptation and messaging efforts by Maldives. Furthermore, Gutsch gave a brief introduction of the organization, the work done and the approach towards addressing global threats to the oceans. He also expounded upon his organisation’s overarching philosophy to keep the ocean free of plastic waste, encapsulated in the AIR Strategy. The president praised the work done by Parley and committed to initiatives which protect the ocean.